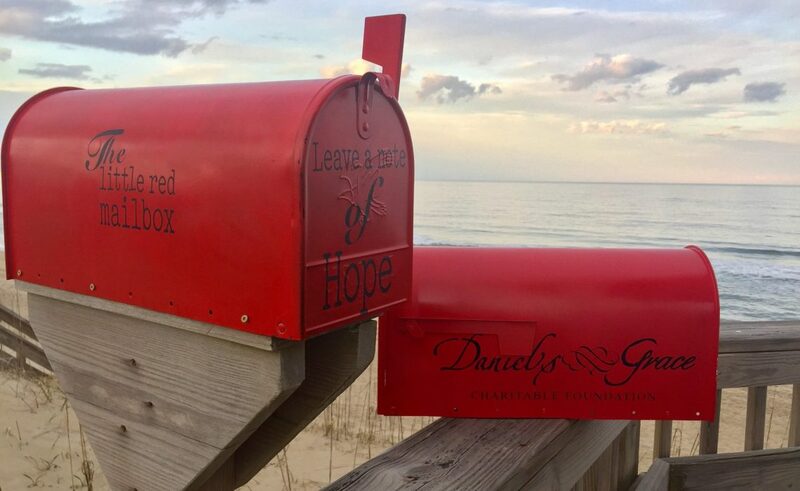 On Sunday, March 5 at 3:00 PM The Daniel’s Grace Charitable Foundation sponsored a ribbon cutting ceremony for the first of its kind in Virginia, The Little Red Mailbox of Hope in Sandbridge near the pier at Little Island State Park. Jodi Newland, Founder of The Daniel’s Grace Charitable Foundation, is the owner of Sweetwater Cuisine. At the age of 32, Jodi’s first husband Daniel died of colon cancer. Jodi asked Daniel what was his biggest life regret, his response was quick and to the point, “I have spent my life living it for me. I didn’t realize that there were people around me that needed my help. Now that I realize it, I am not able. Daniel’s Grace is that promise him – to do what he could not and to repay the countless people who selflessly helped him during his battle. Together, we hope you will join us in this journey to celebrate Grace and Hope. See you at the pier. For more information visit, www.danielsgrace.org. For any information about the Mailbox itself, please send an email to Thelittleredmailbox5@gmail.com. For information regarding the Daniel’s Grace Foundation, please email helpinghands@danielsgrace.org.